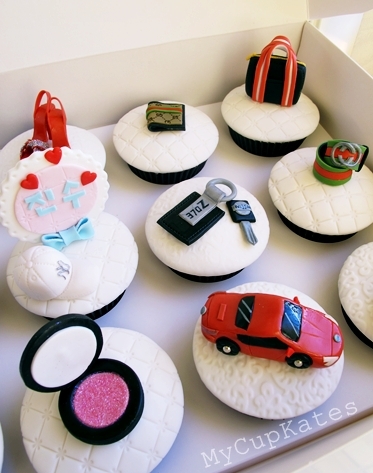 I've made girly cupcakes for ladies who love shoes, bags and make up..
and now it's cupcake time for men. The language on the sign is Korean. and she wanted to leave his name and a little hearts on a cupcake. A bag, belt, car key, car, necktie, wallet, cap.. 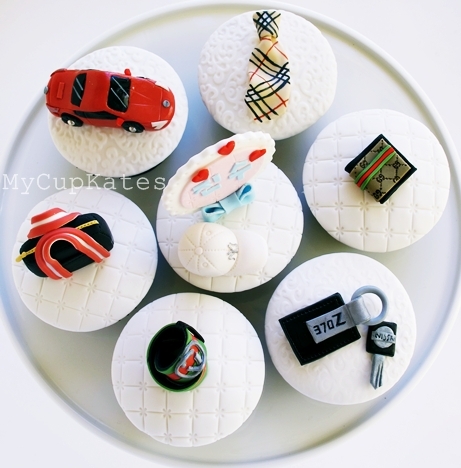 They are so tiny that you can enjoy all of them on your cupcakes! They are made by free hands and all edible! 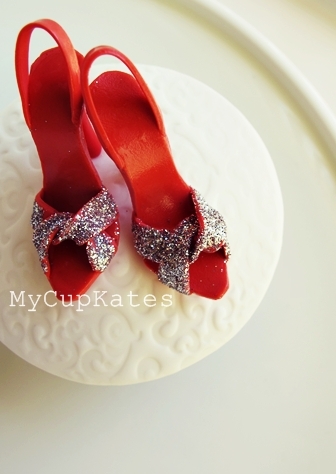 and would love to share two pairs of shoes I made. 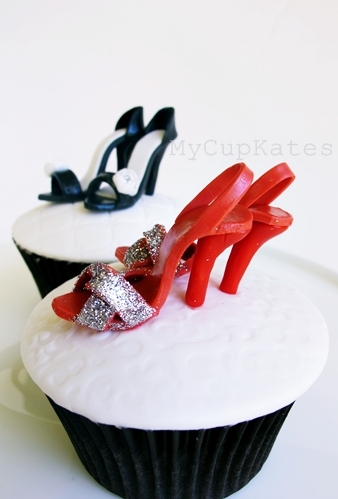 or find mycupkates' page on FB to check the latest updates. Would you mind if I feature some of your amazing creations there with your mention and fb/blogger url? 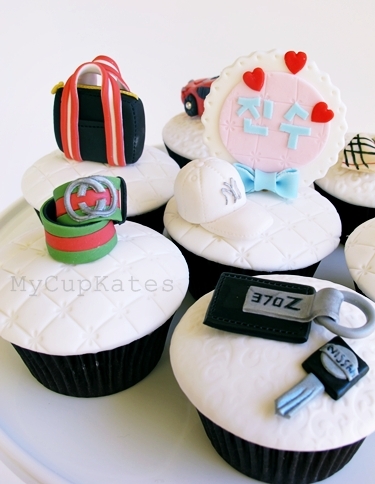 OMG I HOPE I CAN GET MY HANDS ON THOSE CUP CAKES! i'm curious about the glitter, how to make it?